Barbara Wiselogel, mother of Troopers member Dieter Wiselogel, submitted this photo and caption. You said to meet in Bloomington for the 2008 DCI World Championships, right? 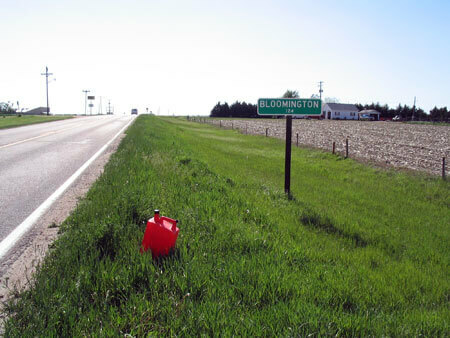 Not quite the right location, but here's Bloomington, Neb., population 124. Learn more about the 2008 DCI World Championships in Bloomington, Ind.